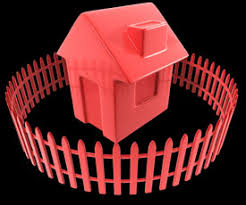 The Bill contains other measures including ring-fencing losses on residential rental properties! Obviously, this is very important to property investors, and not just “other” measures. At this stage, the legislation is just draft, but it does give a little more information that we can start working with. For the 31/3/2020 tax year, or from 1/4/19 for most rental property owners. This is quicker than some initial indications and it will not be phased in over a number of years. Applies to “residential land”, which includes bare land which could have a residential dwelling built on it – Basically residential rental properties. Losses would carry forward and could be offset against future rental profits (could be from a sale). Specific rules to make it harder to structure around (interest ring-fenced where borrowed in parent entity). Maintenance coming up. It might be beneficial to complete before 31/3/19. Especially for bigger items like painting, new bathroom vanity, toilet, shower, kitchen cupboards. Portfolio or property-by-property basis – We will put more information out about this over the next few months and when the election is required. ♦ Renovations to get more rent? - As above, do preventative maintenance early, before ring-fencing comes in, rather than later once it is in. If you are an existing client of Coombe Smith, this special Property Investors offer of a meeting and questions can be a great option. Click here to see full details of the Property Investors Offer. If you make a profit from rentals – no issue! We will also be keeping you updated!